Find lower prices at Sky Harbor Airport Parking! 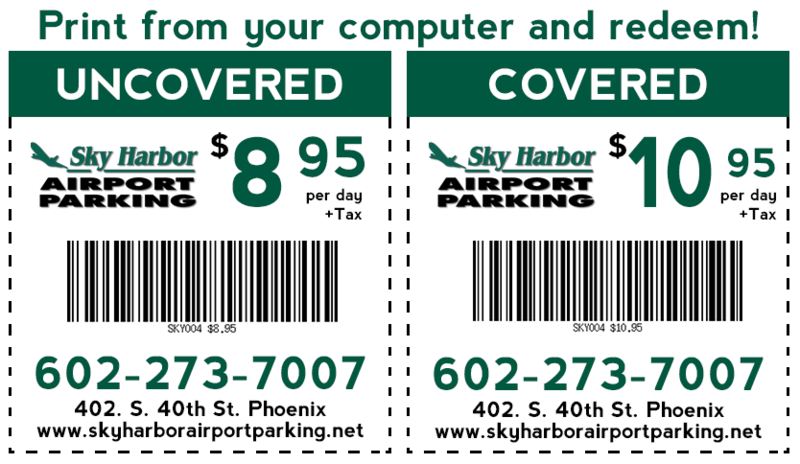 Redeem your Phoenix Airport Parking Coupon at Sky Harbor Airport Parking! We accept competitor coupons up to $5.75. Sign up for our monthly emails at the top right of the this page for our email specials. Sky Harbor offers Corporate discounts. Please contact us for more information at (602) 275-5094 or info@wp.netpark.us.